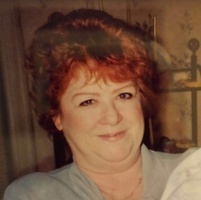 Provide comfort for the family of Claire Flotard with a meaningful gesture of sympathy. Claire C. Flotard was born in Brooklyn, New York on November 23, 1942 to Harold and Elizabeth Foley. Claire climbed the stairway to heaven on January 13th, 2019. She leaves behind her two children Edward and Christina, son-in-law Mitchell and daughter-in-law AnnMarie and her grandchildren Ciara, William and Roy. Claire enjoyed the simple things in life, her family, her pet dogs and cats, her friends. She was an animal lover, avid reader, crossword puzzle enthusiast and never missed Alex Trebek on Jeopardy, weeknights at 7pm. She was an adopted second mother to many and always a special friend, confidant and adviser to even more. Claire had a robust personality that magnetically attracted people towards her. She was a woman’s woman and was not shy about expressing her opinion and/or political views. Claire was fun and entertaining and will always be remembered in that light. She will be missed. May Claire Rest in Heaven in Eternal Peace. To send flowers in memory of Claire C. Flotard, please visit our Heartfelt Sympathies Store. We encourage you to share your most beloved memories of Claire here, so that the family and other loved ones can always see it. You can upload cherished photographs, or share your favorite stories, and can even comment on those shared by others.